NuAR is a multi-protein histone acetyltransferase complex that functions to acetylate the nucleosomal Histones H4 and H2A, thereby activating transcription of select target genes. p400, also known as EP400 (E1A binding protein p400) or mDomino, localizes to the nucleus and is a component of the NuAR complex. Expressed in brain, liver, thymus, lung, spleen, colon and kidney, p400 regulates the transcriptional activity of proteins such as MZF-1 and contributes to the ATPase and helicase activities of NuA4. p400 is a SWI2/ SNF2-related protein that can interact with the adenovirus oncoprotein E1A, thus activating the proapoptotic activity of E1A. The ability of p400 to regulate transcriptional and apoptotic activity suggests that the NuAR complex may be a crucial component of cell proliferation, transformation and, possibly, carcinogenesis. Five isoforms of p400 exist due to alternative splicing events. 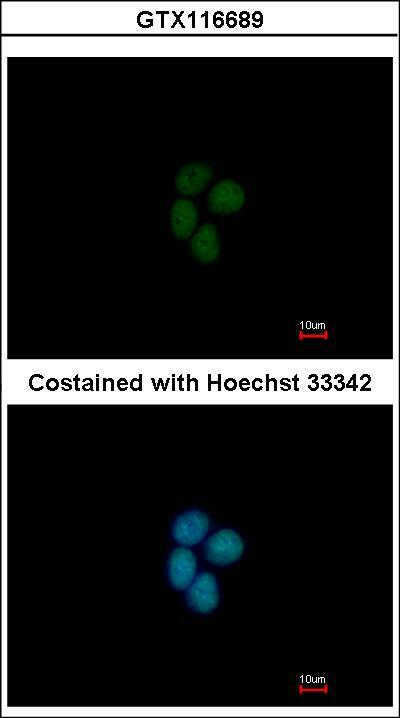 Western Blot and IP: p400 Antibody [NB200-210] - Detection of Human p400 on HeLa whole cell lysate using NB200-210. 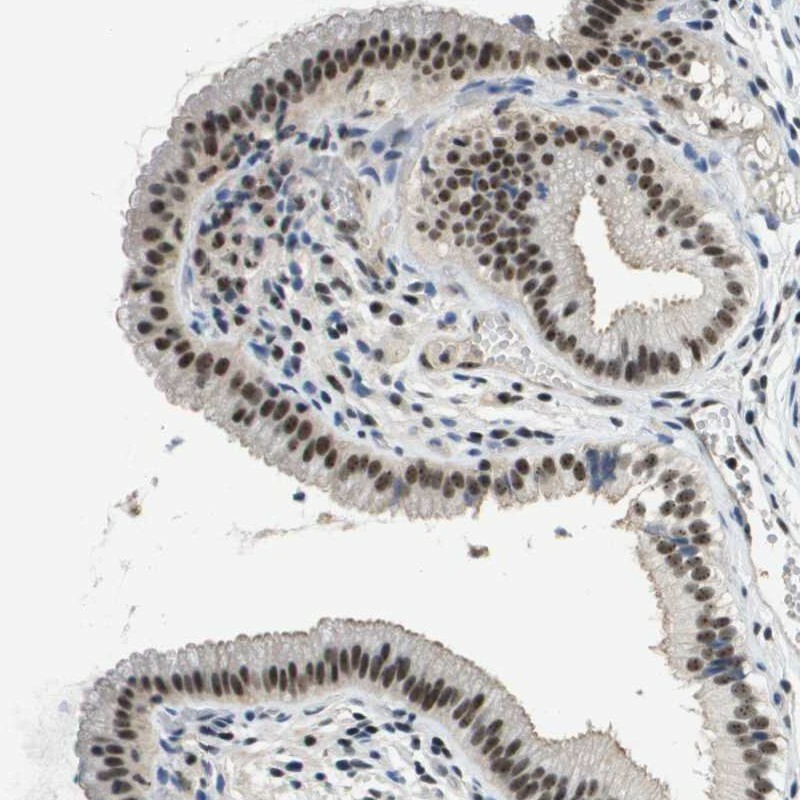 Immunoprecipitation of p400 was also accomplished, albeit less efficiently, using another rabbit anti-p400 antibody. Western Blot analysis of EP400 expression in transfected 293T cell line by EP400 monoclonal antibody (M01), clone 2A7.Lane 1: EP400 transfected lysate(105.7 KDa).Lane 2: Non-transfected lysate. 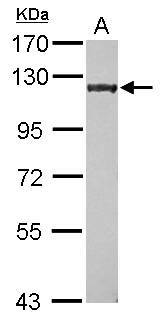 Western Blot analysis of EP400 expression in transfected 293T cell line (H00057634-T01) by EP400 MaxPab polyclonal antibody.Lane 1: EP400 transfected lysate(108.35 KDa).Lane 2: Non-transfected lysate. 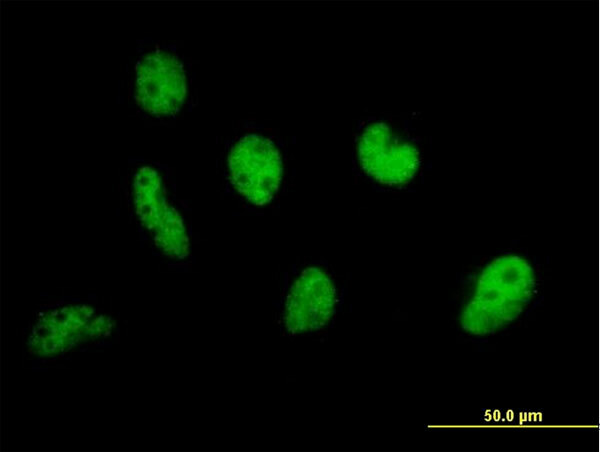 Immunofluorescence analysis of paraformaldehyde-fixed MCF-7, using p400(GTX116689) antibody at 1:200 dilution. Immunohistochemistry-Paraffin: p400 Antibody [NBP1-88230] Immunohistochemical staining of human gall bladder shows strong nuclear positivity in glandular cells.